Gemmology is considered a geoscience and a branch of mineralogy. Separate, intensive courses allow gemmologists to study the science and testing requirements required for the identification of natural gemstones, their artificial and imitation counterparts and the grading and identification of diamonds. Gemmologists who have current, working knowledge of gemstones and diamonds are a rare asset. Due to the scarcity of places to be able to study, many of the gemmologists qualify from the Birmingham School of Jewellery based in the Jewellery Quarter. Quite often gemmology is mixed in to a study of jewellery, which helps to enhance and add depth to their designs. 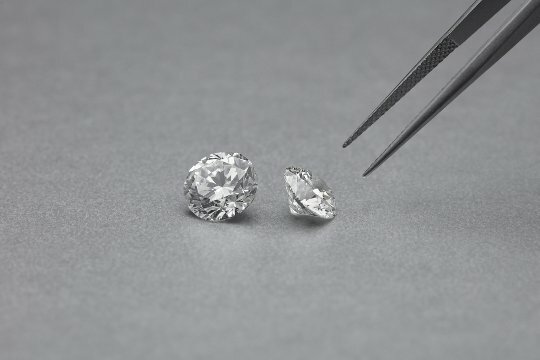 The Jewellers enjoy a team of fully qualified FGA, DGA gemmologists who boast experience in hallmarking for the world’s largest Assay Office, working for the UK’s leading diamond grading and gem testing laboratory, jewellery design and manufacture, retail and jewellery valuation. With over 30 years of experience combined, The Jewellers aim to offer the most factual and accurate support and guidance about our fabulous jewel collection.